By the time this news report aired (February 15, 1999), the Russian excursion into Afghanistan had been over for 10 years. But ten years was just enough time to start looking for answers to what happened and why it happened in the first place. The answers were slow and painful in coming. 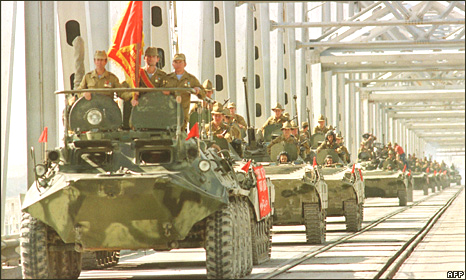 Afghanistan was considered the Soviet version of our Vietnam War. The results were pretty much the same. And judging by the events since the beginning of this year, it's happening all over again. Not learning from history - doomed to repeat it.